Yevgeny Sudbin playing Scarlatti is a feast! He emulates his great compatriot Vladimir Horowitz in realizing that the sonatas (555 in all) that Domenico Scarlatti ostensibly wrote for performance on the harpsichord are actually much better suited to the piano. The range of moods and colours that Scarlatti conjured up - not to mention the sheer speed that some movements really require if they are to work to the best advantage - cannot be achieved on the harpsichord, however brilliant the performer. Just as with so much of Bach's keyboard music, the composer had already realized what a better type of percussive keyboard instrument might one day achieve and did not bother to limit his imagination and his demands to the limitations in the instruments available during his time. 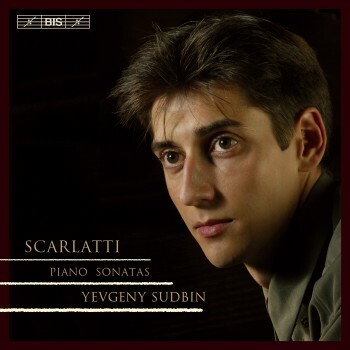 If you do not believe this, please (1) listen to Yevgeny Sudbin playing this selection of sonatas by Scarlatti. (He is a very persuasive musician!) and (2) read the fascinating introduction to his recording that Mr. Sudbin has provided in the booklet; a little masterpiece of writing on music.